From this collection of parts we’re going to build Project Ugly Truck! 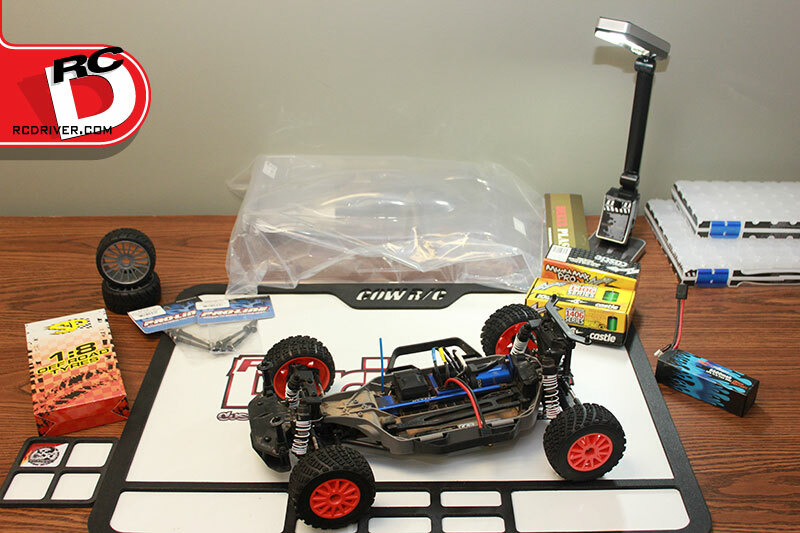 RC Driver magazine has been around for over ten years and during those years we’ve built a ton of project vehicles. When projects are created, stock parts are pushed aside, but they are not thrown away or even forgotten. 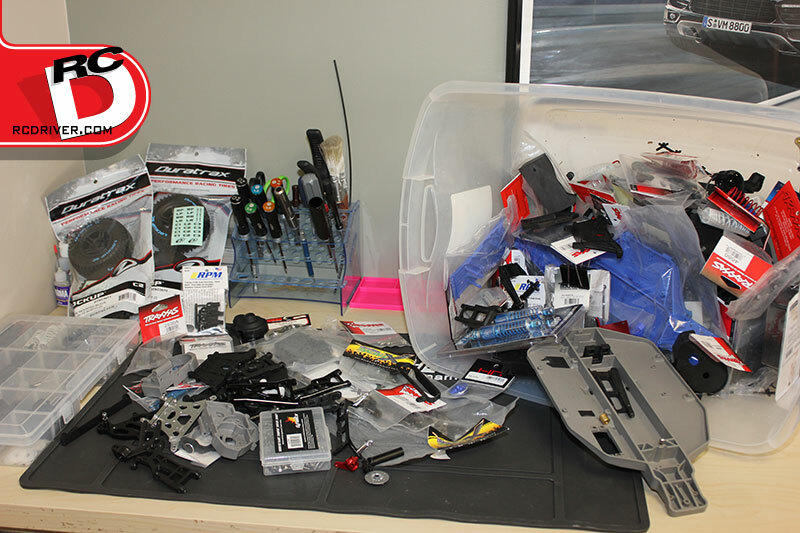 The RC Driver staff is true enthusiasts, and we keep all our extras and spares in case they are ever needed. Same goes for extra hop-ups, electronics, bodies and so on. 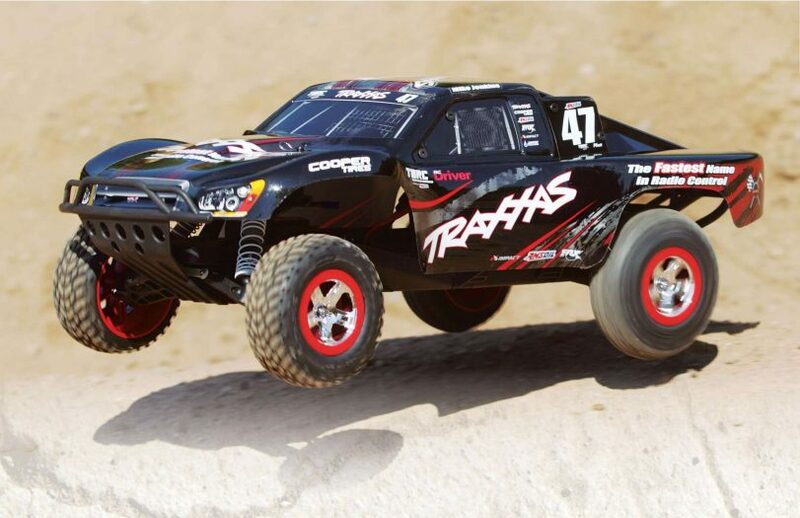 One company who has a plethora (yes El Guapo, a plethora) of options available for their vehicle offerings is Traxxas. 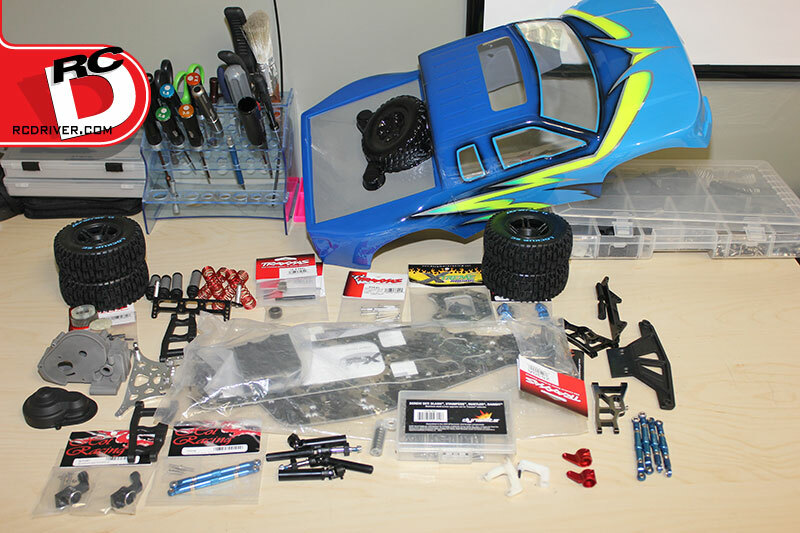 Our Traxxas bin of tossed-aside parts was reaching the top, so we thought it would be cool to dig through the bin and see if we could build something out of the pile of parts. Although we deemed this Project Ugly Truck, by no means are the parts or the companies you are about to see “Ugly” in the negative sense. It’s just a fun name for putting together a pile of spare parts; sorry yes, some people do need this spelled out. 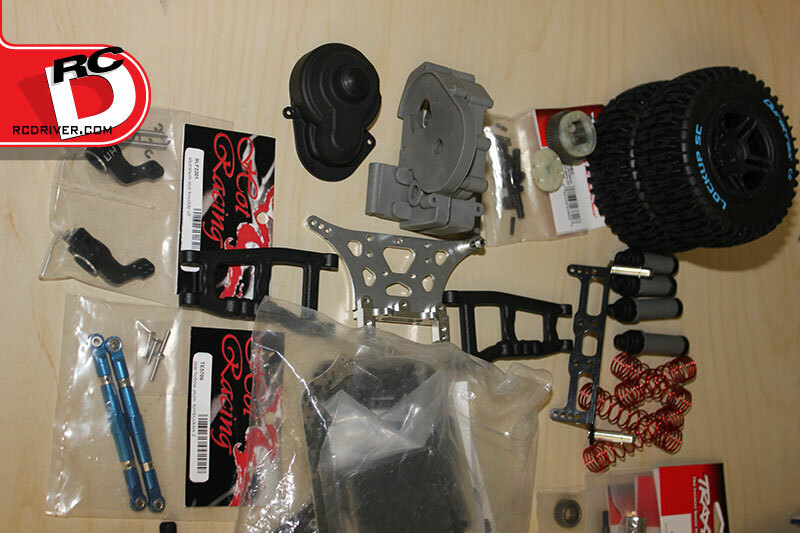 After sorting through our collection of parts it appears we have almost everything needed to build a truck. We took our big bin-o-parts, dumped it out on a workbench and started gathering everything we needed to build a Slashish-based truck. There were a few chassis in the bin, but we grabbed an Xtreme Racing extended LCG Slash conversion set that was left over from a project we built years ago. This would make a great platform for the truck, and its Camo fiberglass pattern probably wouldn’t match some of the other parts we’d find in the bin. Perfect for the Ugly Truck! The rear end parts layout looks impressive, however all of the component colors don’t exactly match. There were a number of stock parts in the box such as a transmission case, gears and diff set, and there was a new stock bulkhead, stock shock bodies and a few other odds and ends. For towers, we found a silver Integy tower and an Xtreme front fiberglass tower. 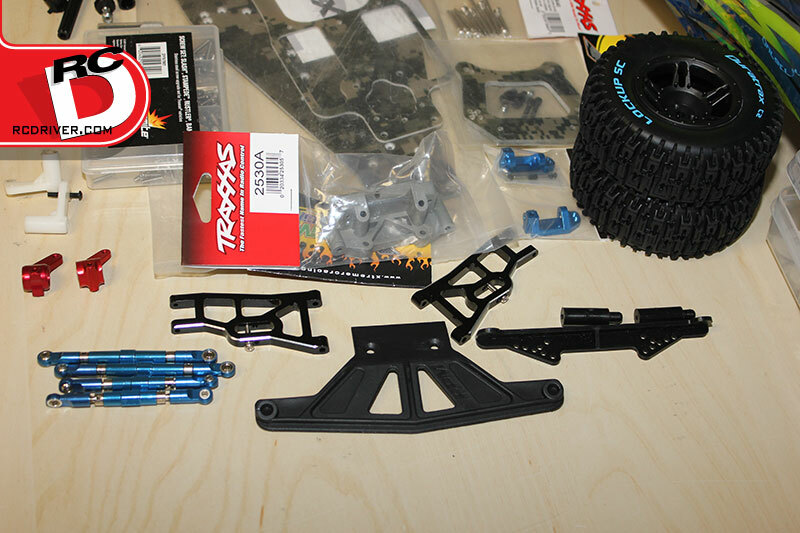 Hot Racing front arms, RPM rear arms, Traxxas aluminum steering knuckles, Hot Racing rear hubs and turnbuckles all in various colors and materials. There was even a Dynamite Slash screw kit…bonus! It was kind of refreshing not having to worry about matching up colors and how it would finally look. All sorts of aluminum goodies will make up the front of this off-road truck build. Obviously a lot more goes into the chassis and there was still much more digging to do, but with a basic concept down, it was time to think about the final product. Time to find a body. After digging deep into a box of bodies in the RC Driver shop, we stumbled on a Parma Raptor body that Larry from Kustom RC Graphics painted years ago. It was perfect for our chassis choice. We also grabbed some Duratrax Lock-up premounts left over from a recent Slash project. They had a mean look to go with the Raptor and our all-terrain Ugly Truck. 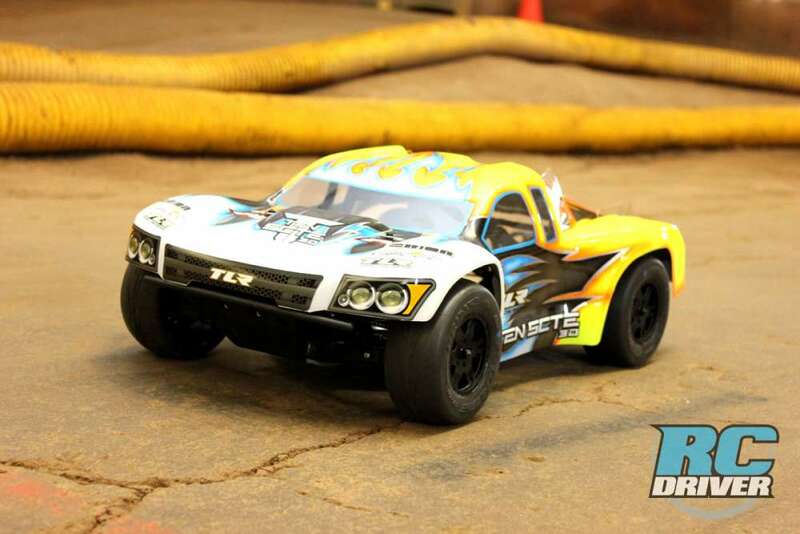 A stock class electronic set-up should provide plenty of speed for the truck. Now that most of Project Ugly Truck was figured out, we had to power it. Back in the RC Driver workshop there is also stock of some electronics. 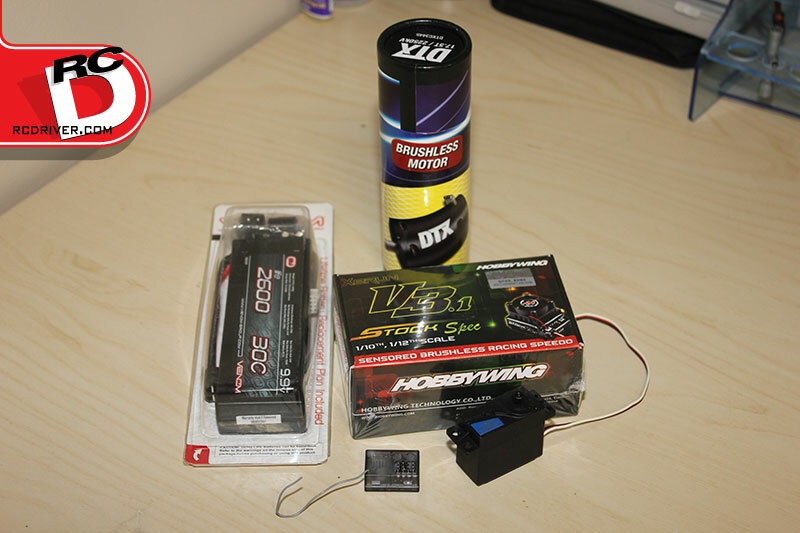 We took a look at what came in that we hadn’t used in a review or project and found a Venom LiFe battery, Duratrax 17.5T motor, Hobbywing ESC, an old Associated MG servo and a Spektrum receiver. The electronics package was rather nice and stock would be fine for having fun with the ugly truck. We have a pretty good selection of goodies piled up to build Project Ugly Truck. This stack of spares looks like it should be fun when completed. 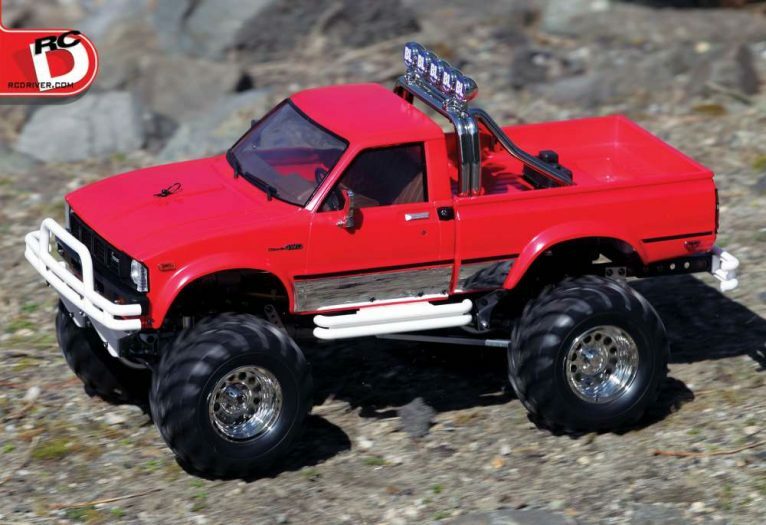 We’ll be building this up in a few different stages, so look out for all the parts to the series and the final truck; its going to be a lot of fun, from the build to the bashing. Click here to find the other installments in this project! I would love to win this build! Its a ratrod of the rc world!